One of my favorite things about the arrival of fall is pumpkin season. With the falling golden leaves and cold weather comes the inspiration: Halloween is almost here and all the parties that surround it invite me to bake. This recipe is a good old-fashioned one that calls for freshly puréed pumpkin. Yes, no cans here, please. It might be good not just Halloween but also for Thanksgiving. My children, who are mostly averse to pumpkin pies, loved them. 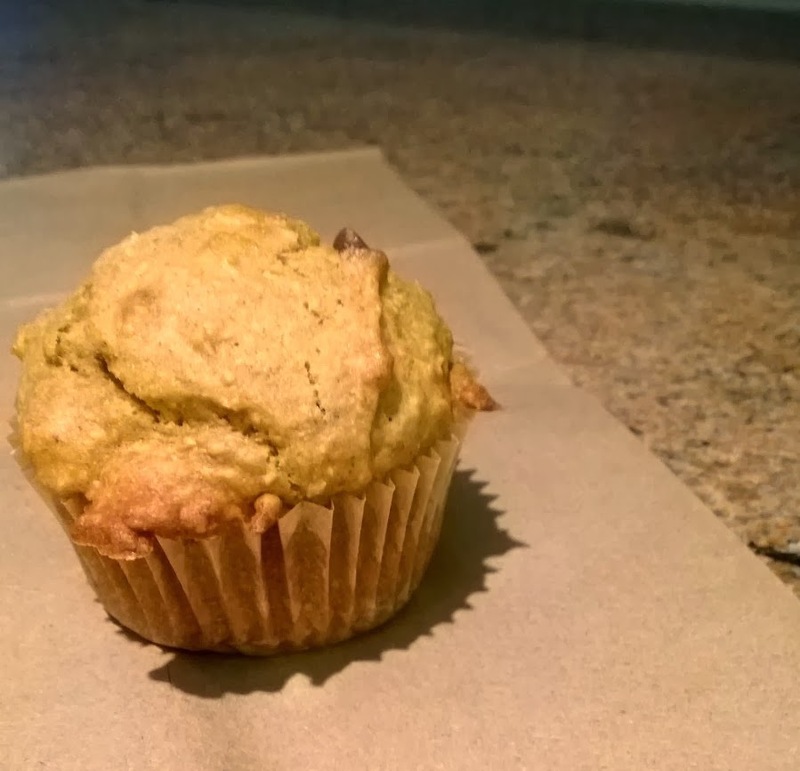 I can't wait to have another excuse to bake another dozen of these delicate-flavored muffins. 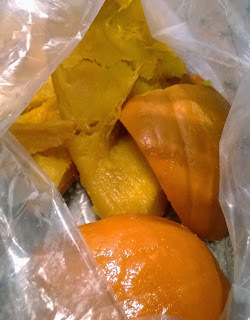 I used a medium-size sugar pie pumpkin, cooking it in chunks with a bit of water for 30 minutes in the pressure cooker. If you're not familiar with a pressure cooker, just bake the pumpkin in the oven at 350 degrees for about one hour or until it is tender. Preheat oven to 350 F. In a big bowl mix pumpkin, sugar, eggs, and oil. Let the mix rest for about 15 minutes and then whisk again. In another bowl mix bran, flours, baking powder, baking soda, and spices and mix well with a whisk. 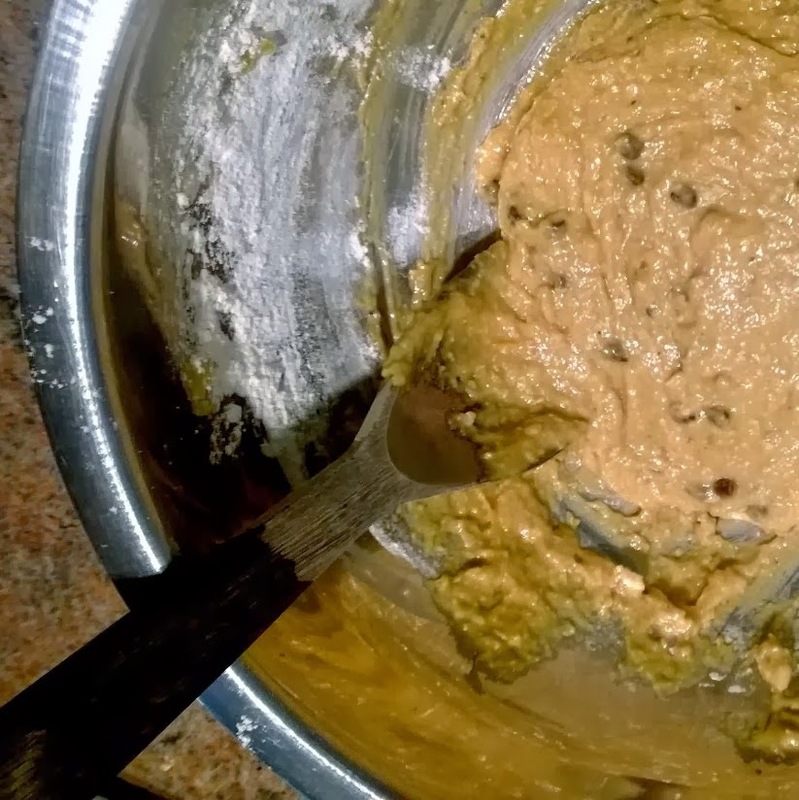 Gradually add the dry mix to the wet mix with the help of a spoon just until you get an even batter. Slowly add walnuts and chocolate chips. Spoon batter into baking cups, filling each cup about two-thirds full. Bake about 25 minutes until the top of the muffins are golden. Enjoy for breakfast or a mid-afternoon snack.